eMax Truck Bed Tonneau Cover by Extang: Improve gas mileage by up to 10%, protect your cargo, and look good doing it! 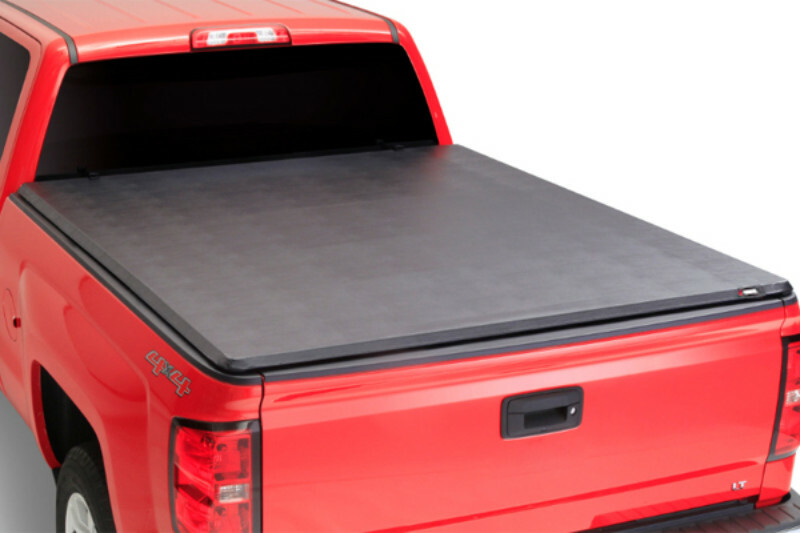 The eMax Truck Bed Tonneau Cover by Extang is the perfect solution for your truck. This Extang engineered tri-fold style tonneau cover installs in minutes and requires no tools or automotive knowledge to install! Where engineering ends, good looks begin. This Extang eMax tonneau cover features a rich looking all-black aluminum frame. It has a perfectly sewn and tight fitting, double layered commercial grade vinyl cover with anti-curl corners. Even better, the Extang eMax Bed Cover features WeatherTuff Seals and unique hinge design to keep water out. In other words, this tonneau looks good and is built to last. The Extang eMax can easily be folded out of the way, to allow ease of loading or quick convenient access to cargo. It can be stood up at the front of the bed allowing complete truck bed access. You also can drop the tailgate with the eMax cover completely closed. 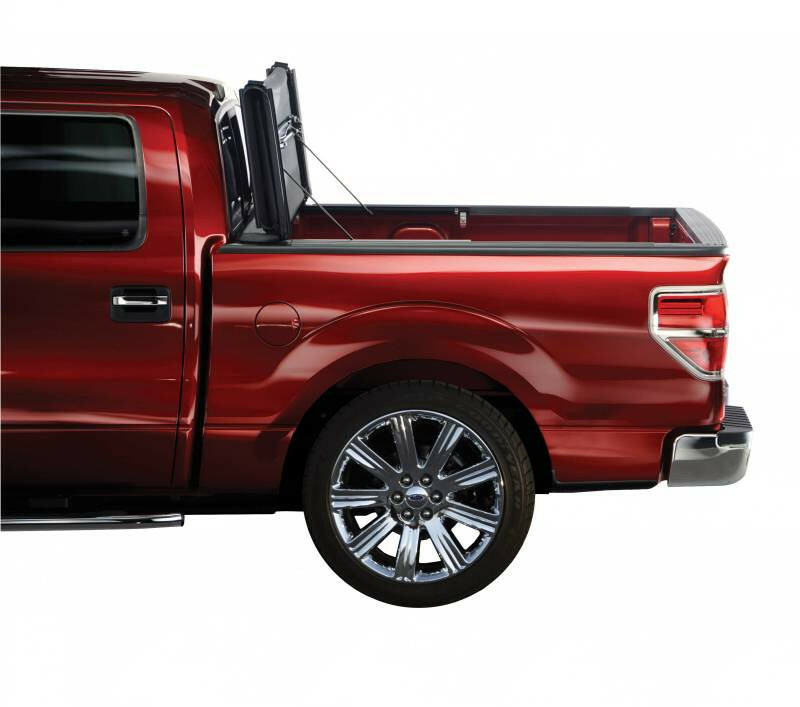 The eMax Truck Bed Tonneau Cover by Extang is designed specifically to fit your trucks make and model for a superior fit! Trucks with spray on and under rail bed liners have nothing to worry about either! 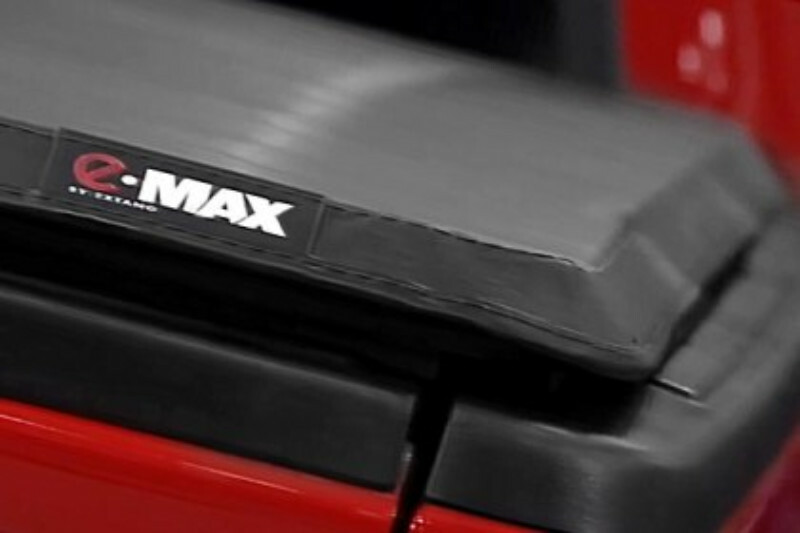 The eMax cover still fits perfectly!If you have aluminum or stainless steel bed caps, you'll need to remove them in order to achieve a flat surface for closing your eMax Truck Bed Cover.